The Food Alphabet and More: Winner of Yummy Eats tickets! 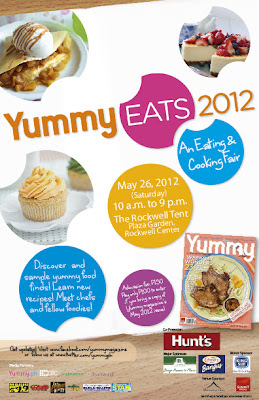 Congrats to our winners for the Yummy Eats 2012 tickets! Please check you email on instructions on how to claim your tickets. Thank you to all who have joined. Another giveaway coming up soon! See you at Yummy Eats!